One of the most important aspects of event planning is making sure your guests are entertained and well occupied the entire evening. While games and other engaging activities are helpful to keep guests busy all night, what really will make an event stand out are the memories that are created. Depending on the type of event you are planning, you may want to send your guests home with a specific type of souvenir to remember the event forever that capsulizes the theme of the evening. However, you’re also able to choose a more versatile souvenir that your guests can personalize and get use out of. Airbrush art is an excellent way to keep guests busy, looking forward to something throughout the entire event, and leaving the party with a souvenir they’ll keep for life. 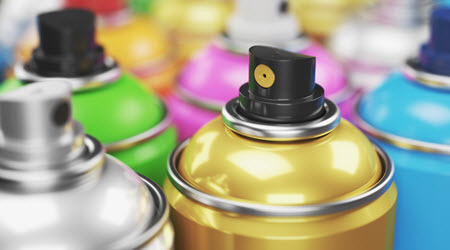 When you think of airbrush art, you might imagine graffiti or street art, although the airbrush art we create is highly customizable to the individual. There are a lot of benefits to bringing airbrush artwork to your own event, but the main benefit is the uniqueness of the activity and guest involvement. If you’re thinking about what activities and souvenirs to include at your event, here’s a little more about airbrush artwork, how it works and what you and your guests will get out of it. In order to have airbrush artwork at an event, you’ll only need a table, an area of space for products and creativity, and power, and you’re good to go! Guests simply go up to the table, choose from the available products to airbrush, choose colors and designs that they like the best, and then wait for the magic to happen. You can also have pre-made favors tailored to the theme of the party ready for your guests to take. 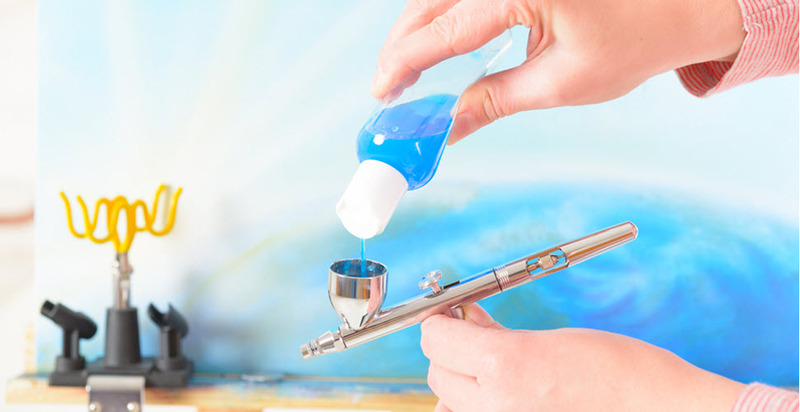 Airbrush artwork is an excellent activity to have at any event. Themed events like red carpets, carnival nights, casino nights, and others can be easily spruced up with an airbrush artist, creating artwork custom-made for the event theme. Additionally, airbrush art is perfect for guests of all ages. Adults and older adults, adolescents, and children can all leave with something that they love. One of the most difficult aspects of party planning is choosing what to send your guests home with at the end of the evening. Depending on your budget and overall idea of the event, you might choose to send attendees home with key chains, bottle openers, photos, etc. But why not send them home with a fantastic gift that they chose themselves? Airbrush artwork is the perfect souvenir for any guest at any event. We’ve mentioned it a few times, but it begs to be emphasized: airbrush artwork can be designed and drawn onto almost anything. Hats, bags, t-shirts, sweatshirts, sneakers…you name it we’ve got it! Your guests choose the color, design, and surface, and the creations go all night long. They can have their name written on a t-shirt, or the date of the event and drawing on a pair of sneakers, for instance. The possibilities are endless. In addition to airbrush artwork, airbrush tattoos are another activity that are perfect for all events, but especially fantastic for costume parties and children’s events. These temporary tattoos are fun to compare and show friends, take pictures of together, and just like airbrush artwork, airbrush tattoos can be customized. Whether you’re planning a bar mitzvah, bat mitzvah, a holiday party, a birthday celebration, or a themed event such as sports night, casino night, or a red carpet event, choosing the right activities and souvenirs are an important contribution to the success of the event. Airbrush artwork is an unconventional idea to include in parties as both an activity and souvenir for your guests. Here at Creative Event Services, we pride ourselves on our ability to give clients a diverse range of options when it comes to those tough event-planning decisions. Our clients in the areas of Boston, Hartford, and New York are also pleased with our customer service and assertiveness—we just like to get the job done right the first time. Planning an event can be fun with the right help. If you need assistance planning your event, please look over our website or contact us directly for more information. We look forward to helping make your event a smooth success!